TM Services - Driveways/Patios/Paths, Landscaper based in Irthlingborough, Northamptonshire. 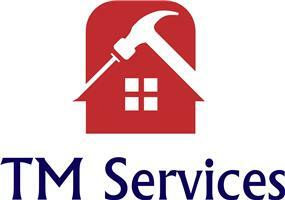 TM Services offers various building services around Northamptonshire. We are able to offer our customers also skills in the following which means if they need additional work to be carried out we can help to complete the full requirement of the job. Groundwork's, Bricklaying, Landscaping, Fencing, Garden maintenance, Property maintenance, Carpentry. We take pride in all our work to make sure its is completed to the highest standard to insure customer satisfaction. For a local, friendly service, free quotations or just advice on the work you are considering then please get in touch. Wellingborough, Rushden, Irchester, Northamptonshire and also Greater London area.